After the fast pace of your wedding day, your photographs will not only capture each precious moment, but will help you relive your day forever, even on your 60th Anniversary. 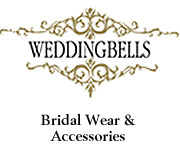 We normally advice to start previewing wedding specialists 1.5 - 2 years in advance. Yes, the best photographers are that busy! A good photographer will display photos in focus, creative and have excellent lighting. All faces will be visible and appear relaxed. Look through an album portraying one entire wedding to become familiar with their style and what photos they have captured. Look at another album showing highlights of different weddings. Watch for the quality and emotions captured in both posed and candid photos. While most photographers shoot in color, some specialize in black and white, or monotones (singe colors in different shades) and many photographers can capture both effects dramatically. Photographers can charge by the hour, by number of photos taken or by a special set of packages they offer. Review the photographer's work who will be shooting your wedding and ask about both backup photographer and equipment. Their equipment should be of professional quality and they should have access to retouching and special effects equipment. If there are limitations in your church regarding lights, they will need to have extra sensitive cameras, high speed film, and a firm tripod. Decide beforehand when your formals will be taken; in the studio two weeks before the wedding, before the ceremony or after the ceremony. If you have a large number of attendants or family, try to schedule your portraits ahead, as it can sometimes take up to 2 hours to capture all the photos you want preserved and your guests will become impatient. If you decide to have your photos taken after the ceremony, assign a family member the task of having everyone ready when it's their turn to be photographed or leave it to your bestman. He should have a copy of the photos you want taken in the order they will be taken. This will make it easier and quicker for yourselves, the guests and the photographer.